** Exclusive ** Baby girls Millie Grace 'Elizabeth' white christening dress with diamante cross, the perfect christening wear for her special day. This dress matches perfectly with the Exclusive Millie Grace 'George' White Christening Romper with Cross Tie so perfect for twin boy and girl. 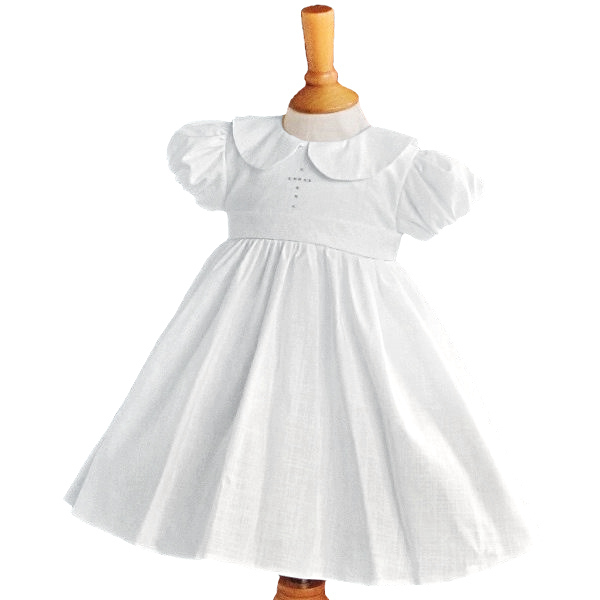 This christening dress, named "Elizabeth", is an exclusive to Children's Special Occasion Wear. It has been designed by us and made by designers Millie Grace and so you will not find this anywhere else.